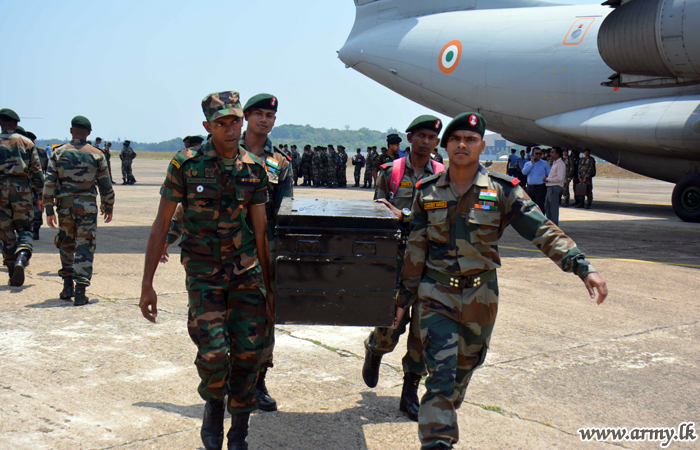 Indian troops arrived in Sri Lanka this week, as they prepared to take part in the annual ‘Mitra Shakthi’ military exercise. 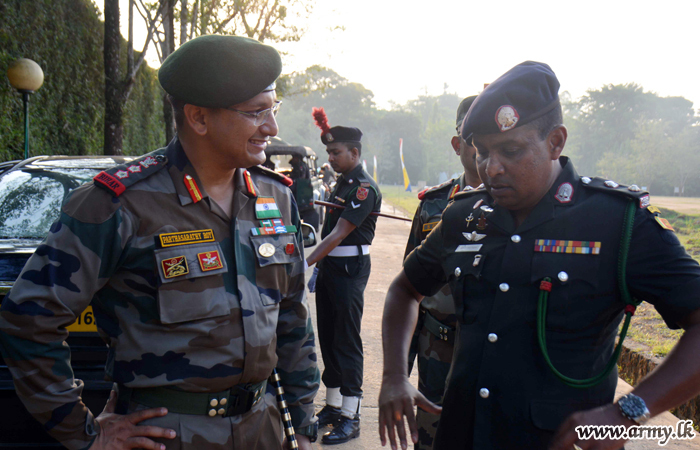 Approximately 120 Indian Army Jawans met with Sri Lankan soldiers in Battaramulla, ahead of the exercise on Tuesday which will aims to “share knowledge on military tactics, experience, exchange of infantry technicalities, counter terrorism practices, long range reconnaissance patrol (LRRP), small group operations, effective employment of infantry weapons, simulated attacks on terrorist hideouts, suicide bombing and improvised explosive devices (IEDs)” according to a Sri Lankan military website. On their arrival the Indian troops went to a memorial for the Indian Peace Keeping Force (IPKF), who are accused of perpetrating widespread atrocities, including massacres, disappearances and sexual violence, while occupying the North-East during the disastrous 'peacekeeping' campaign between 1987 and 1990. 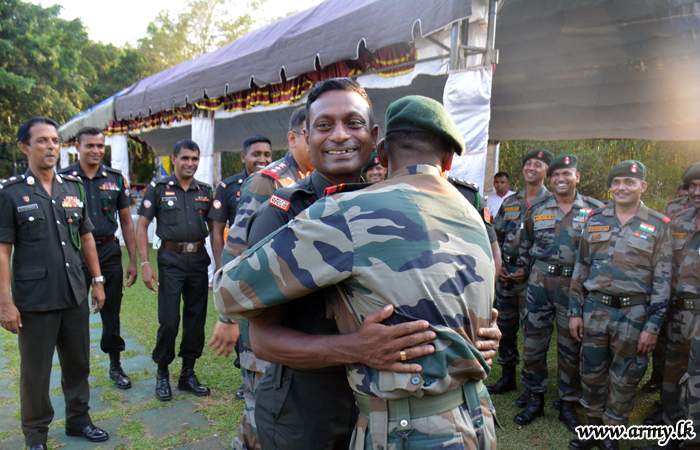 Sri Lanka continues to have military relations with several governments across the globe, despite a lack of accountability for troops accused of committing mass atrocities against Tamils in a military offensive that kills tens of thousands.